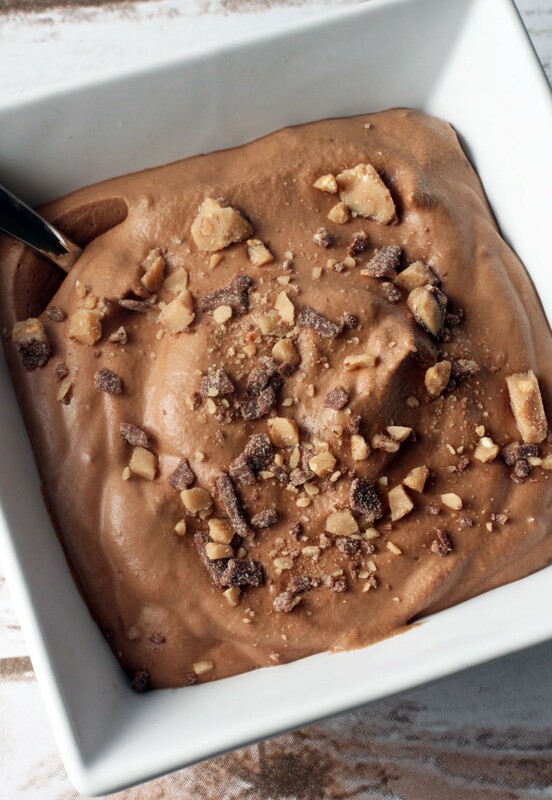 What can you do with pumpkin spice peanut butter? Um…everything. Anything. Whatever you want. Therein lies the glory and the danger. But the best treats in the world are a little bit dangerous. I’m not sure if the cupcake craze is over yet (it’s definitely calmed down), but I hope your own personal cupcake craze reignites when you see these chocolate cupcakes. 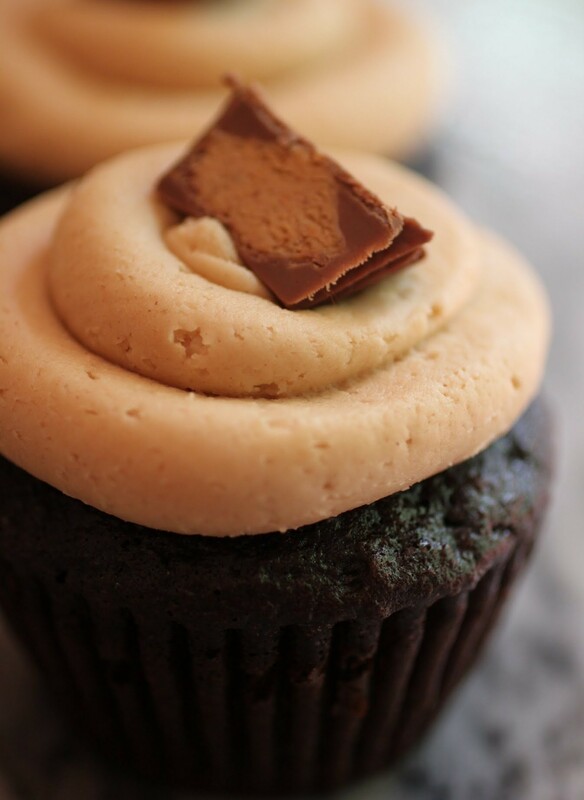 They have a peanut butter cup surprise inside and a healthy dollop of peanut butter pumpkin spice frosting! And, of course, some more peanut butter cup for bling. If you’re gonna make a cupcake, make a dang cupcake. I’m not sure if extreme thinking works all the time the way it does for cupcakes, but it’s good to try and keep your fears under control. Whenever I’m equally eager to give something a shot and terrified that it won’t work out, I know I have to just go for it, no matter what happens. Two years ago, when I’d just started playing the guitar, my then-teacher made me do my first open mic night. Part of me really wanted to do it while the other part was just in the horrors. I could barely play. How was that going to work out? I still remember how scary it was waiting for my turn to play and sing. Everyone was just so good, and they’d clearly done the open mic thing a zillion times. I was nowhere near that skill level, and I remember really hating my teacher for forcing me to humiliate myself in front of everyone. But you know, while it wasn’t the best performance ever (I played a bunch of wrong notes and my voice was all wobbly), it wasn’t terrible. I learned that people are really nice and encouraging, and that they just want you to do well. If you can let go of the fear, then just trying something new is the success story. You don’t have to be amazing to avoid failure. One of my colleagues has an expression she uses on our students. When they’re fearful about doing anything, she says, “You gotta shut up and participate.” In other words, quit whining and worrying and just do whatever is causing all the drama to build up inside your head. It’s great advice, and I try to live by it some of the time. It’s not always possible to conquer every fear. But it’s totally possible to make pumpkin spice peanut butter into the #bestfrostingever. If you haven’t seen Jif’s line of whipped PB in the grocery store, go look for it. When you mix it into vanilla frosting, it makes a perfect, easy cupcake finisher. If you want to make your own vanilla frosting first, you can. But I went easy and bought some from my local bakery. Sometimes it just works to skip a step. Hey, I’m not afraid to admit that I take shortcuts sometimes, and I’m also not afraid to tell you that it makes me feel a little guilty. But who has time for making frosting every day? It’s much better to spend that time doing something new that utterly terrifies you. I dare you! Preheat the oven to 350. Fill a muffin tin with cupcake liners. Set aside. Combine the sugar, flour, cocoa, baking soda, baking powder and salt in a bowl. Stir in the milk, oil, vanilla and eggs, mixing until smooth. Fold in the boiling water carefully. Using an ice cream scoop, portion out the cake batter into each muffin liner until it's filled up three-quarters of the way. 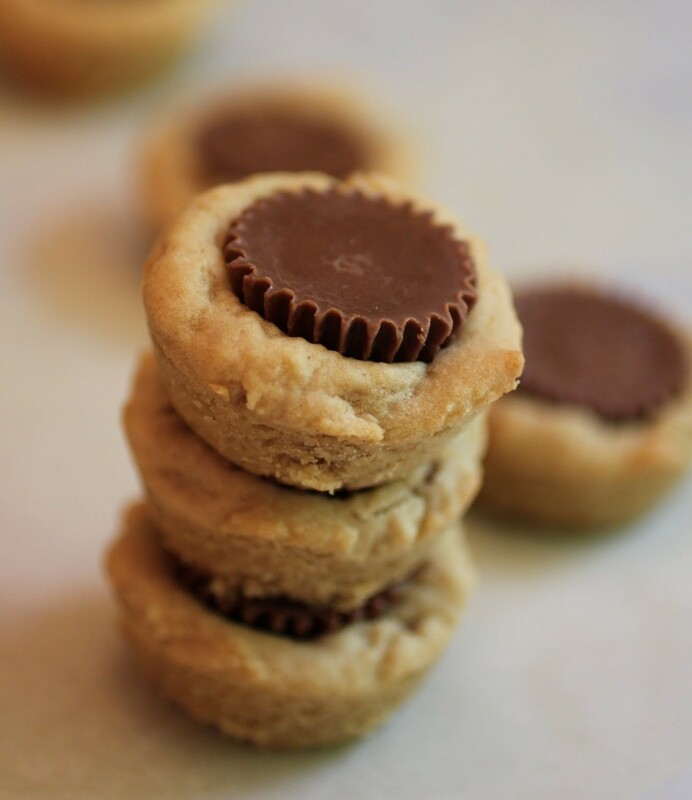 Press an unwrapped Reese's cup into each batter-filled liner. Bake until the cupcakes spring back when touched, about 20 minutes. You will probably have to bake more than one batch. Make the frosting. 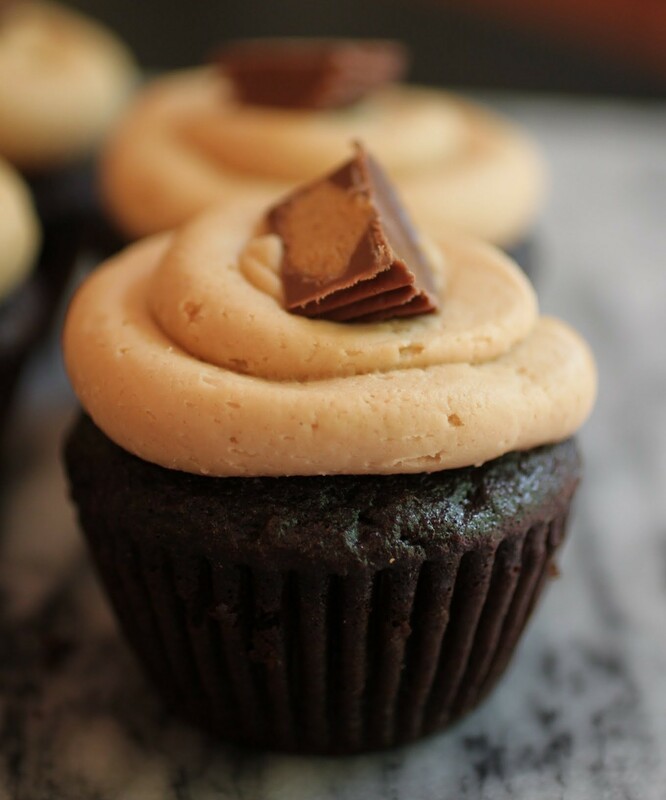 Combine the vanilla frosting and peanut butter, combining until no streaks are visible. The frosting will be somewhat stiff. Using a large round tip, pipe a swirl of frosting onto each cupcake, starting at the edge and working toward the center. 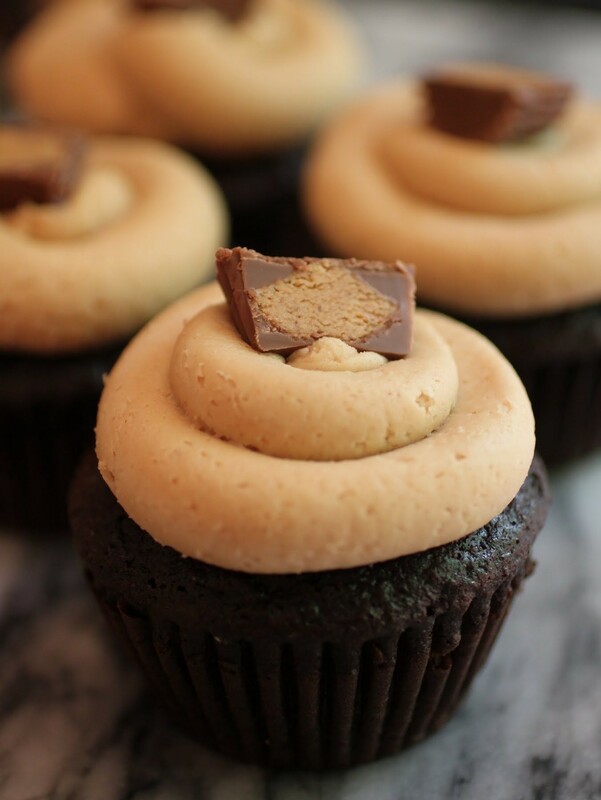 If you have peanut butter cups left over, cut in half and use as a cupcake garnish. My son just had his half-birthday. I don’t know how many of you do that, but kids seem to love it. Hey, any excuse to get a special treat one more day out of the year! I may have mentioned before that my son doesn’t like chocolate. So whenever it comes time to bake for him, life gets complicated. Because you know, he’s picky. He’s not fond of caramel either, or certain textures really get to him. But candy? Candy is always okay. 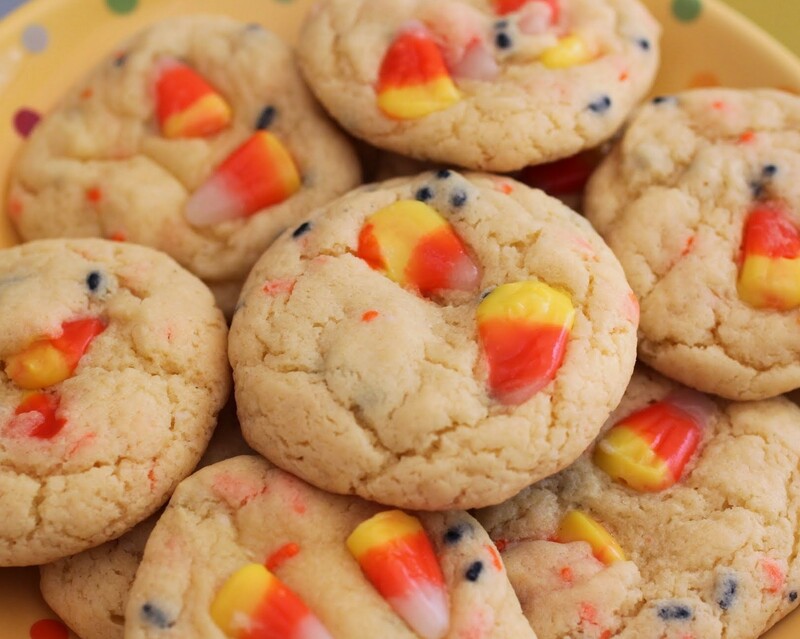 And candy corn is even better! And when baked into a cookie? All the pumpkin, all the time please! Erin@WellPlated recently posted…How to Rebrand Your Blog: Book Launch! Pumpkin spice peanut butter is my favorite! It’s way too dangerous to keep it in my house, but I think I would for these cupcakes! Love that gorgeous frosting on top, Mir! I’m so with you, Gayle! I buy it once a year and that’s it. Too deadly! Awwww, these cupcakes are adorably yum! And that frosting looks super YUM. I wish I could have at-least 3-4 right now. I made other people eat them, Anu! I couldn’t keep them at home. Way too tempting. That peanut butter sounds fantastic! I’m afraid it wouldn’t make it into the frosting. That’s definitely a problem, Jen. I still have some hanging around and I’m trying not to look at it! The flavor combination in these cupcakes is amazing!! Thanks, Manali! I love it! Peanut butter AND pumpkin? Well, aren’t you just combining all the delicious flavours. I haven’t had nearly enough pumpkin related things since being in the U.S.
You’ve got to do it soon, then! We’ve got pumpkin spice everywhere here, Dannii! Eeek! I don’t think I could ever do an open mic night, but that is great advice and I should live by it more often. Until then, I’ll just eat all these cupcakes 😉 What a great flavor combo! Thanks, Megan! I definitely was so scared. It worked out okay, though! Wait a minute now. Jif makes a pumpkin spiced whipped peanut butter?!!!! You see, this is what happens when you live in the middle of nowhere. Time to do some online shopping! . These look so good! Oh no! Get it online, Amanda. Totally worth the effort! Sounds like a fun experience playing the guitar 🙂 I just tried pumpkin spice pb and loved it! These cupcakes look amazing! Sometimes shortcuts turn into the most amazing things! Like this frosting – it almost doesn’t even need a cupcake underneath it. Yum!! Shortcuts are awesome. We should never feel bad about them, Kate! 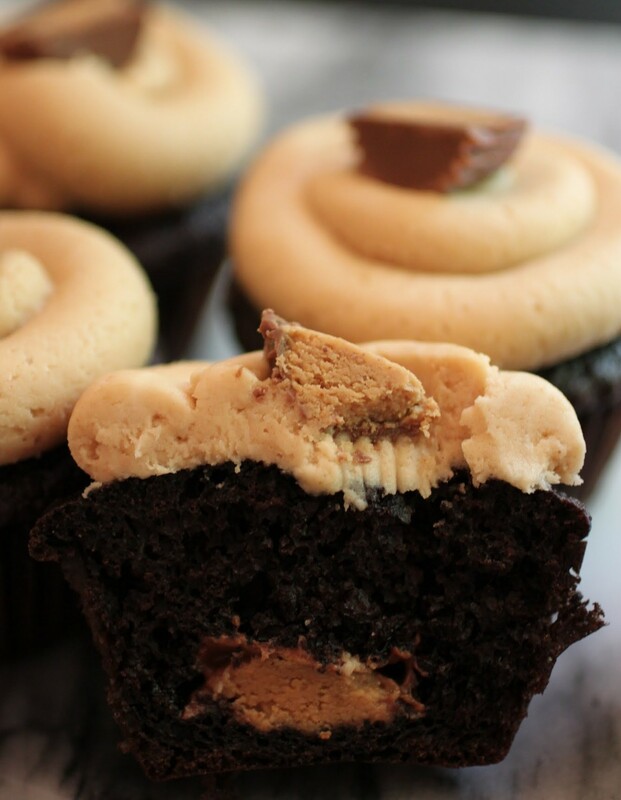 Pumpkin Spice and peanut butter are the PERFECT pairing!! Love this! Thanks, lady! 🙂 Have a great weekend! pb and chocolate are amazing but with pumpkin spice added! heaven! perfect way to take the best and make them even better! 😉 happy weekend girl! Pumpkin and Reese’s? My life is FOREVER changed Mir! These cupcakes are gorgeous! Trish – Mom On Timeout recently posted…Big Announcement Today – My Cookbook Is Available! Thanks, Trish! 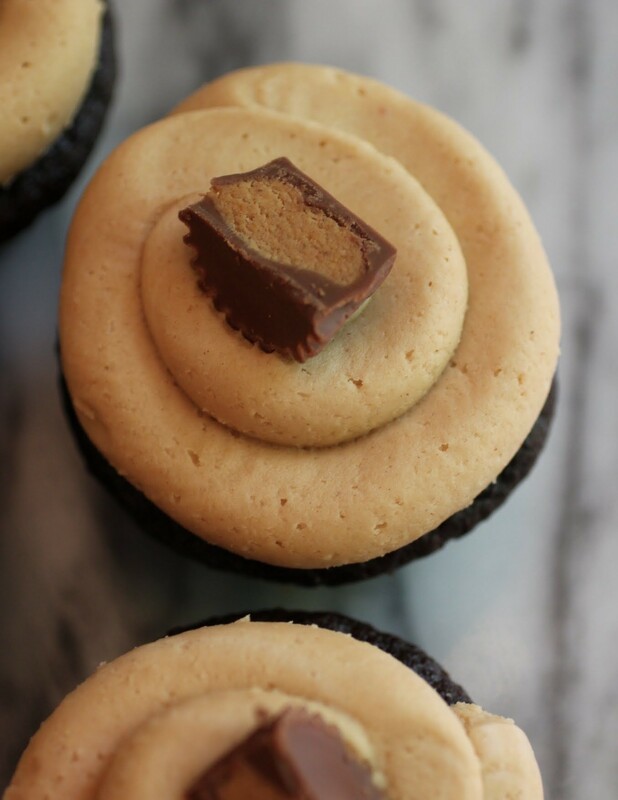 Reese’s and pumpkin were made for each other!